The intro sequences on So Weird are often miniature narratives in and of themselves. Occasionally they play a role in the show, like showing the Phillips family watching old home movies, or as in “Roswell,” telling the first part of the story while excluding key facts that influence the way the episode is interpreted. But most of the time, they serve a procedural function, establishing the mood and thematic content of the episode by pulling in some of Fi’s research as a basis for the weirdness of the episode. It’s a very pure form of storytelling. Take this episode for example. It’s a classic setup: Fi begins by talking about common preconceptions of mad scientists as they appear in pop culture, like Dr. Frankenstein or Dr. Jekyll. 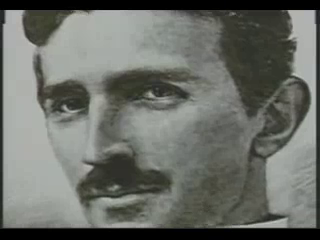 Then she transitions into discussing a real-life mad scientist, and of all people, she picks Nikola Tesla. Besides generally being an awesome scientist whose work was overshadowed or outright stolen by Thomas Edison, Tesla also had a death ray and claimed he could split the Earth in half like an apple. Who knew! The more interesting aspect of the episode is its middle, when Fi is turned into a dog by the mad-scientist-turned-veterinarian. No bones about it, this is one of the funniest episodes of So Weird to date. Fi is at her most talkative and sarcastic, from lines like, “I was a customer! I HAD A COUPON!” to her response to the vet’s question about whether she wanted to be human again: “No, I want to be a dog forever! Grrr!” And the episode’s stakes—in twenty-four hours, the dog mind takes over the human mind, essentially domesticating humans-as-dogs—are played equally humorous and tragic. In one scene, Fi tries to focus on finding the antidote, but gets distracted by cookies and mailmen; in another, Fi watches as Tim’s dog mind takes over: “Like treats. Hungry. …Scared.” The latter part pulls the episode towards yet another idea about how dogs have basic instincts that include emotions like fear (perhaps partially built into the fight-or-flight instinct). Even though they don’t have higher functioning minds like humans, that doesn’t make them any less worthy of love and care. But the episode veers back to humor almost immediately, which shows the inconsistency in theme that was partially present in the opening narration (Dr. Frankenstein and Dr. Tesla aren’t in the same ballpark, ethically speaking). It’s the humor that matters most, though. The following episode, “Encore,” is essentially the climax of season two’s on-going plot for Fi and Molly, which means it is complex and moody and not for the faint of heart (or the drop-in viewer, per se). So, as Supernatural would do later on, So Weird takes a deep breath with a comedic episode that nonetheless has some interesting ideas that never quite get fleshed out enough. 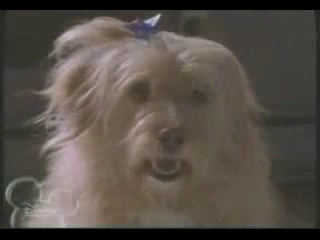 It’s not the worst standalone episode (it’s definitely a far cry from “Web Sight“) but it is missing a few parts that can fully turn the cogs of the wheel, as if the writers were focused on finding an antidote to So Weird‘s typical amount of pain, but got distracted by the idea of talking dogs. And as far as can be seen, no, it is not possible to pick a lock with a hair beret using dog lips. Cameron White is a freelance writer currently residing in Arkansas. He writes about television over on his blog, Wayward Television, and tweets six-word stories, most of which are fiction. His obsession with television was founded in 1996 by The Disney Channel and fostered by his discovery of Firefly in the summer of 2007. He took that line and… well, he took it, and that’s something.